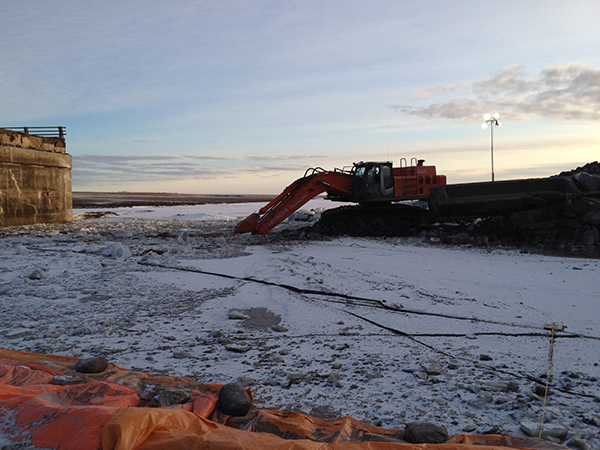 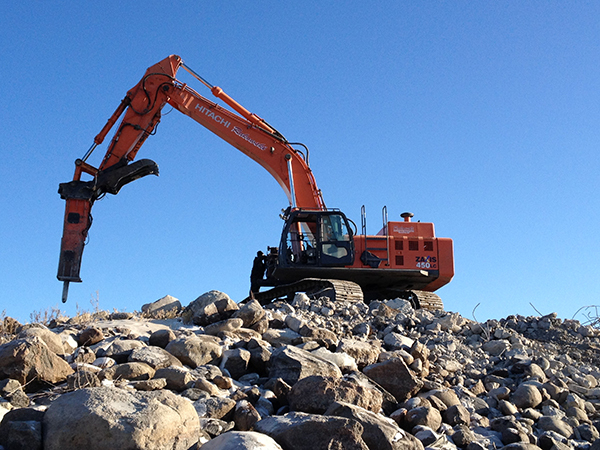 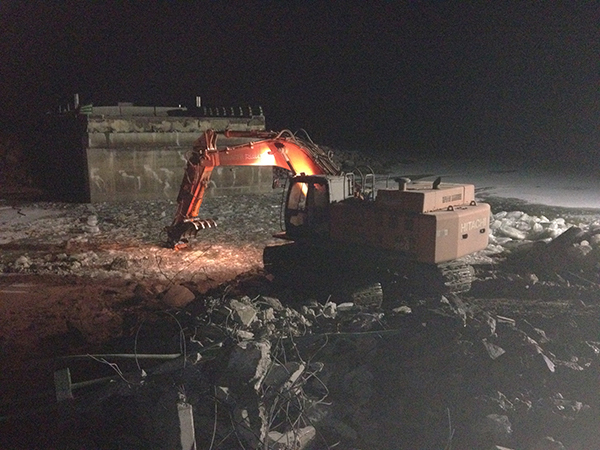 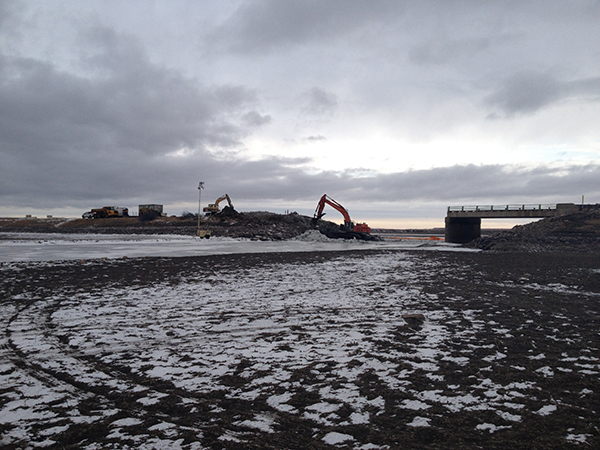 The demolition and removal of the existing structure over the Souris River on Provincial Road 251, located North of NW 31-01-26W, in the Municipality of Arthur, Bridge Site No. 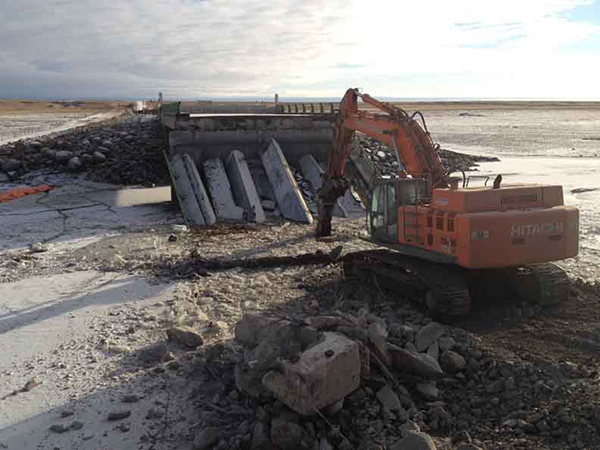 3246-00. 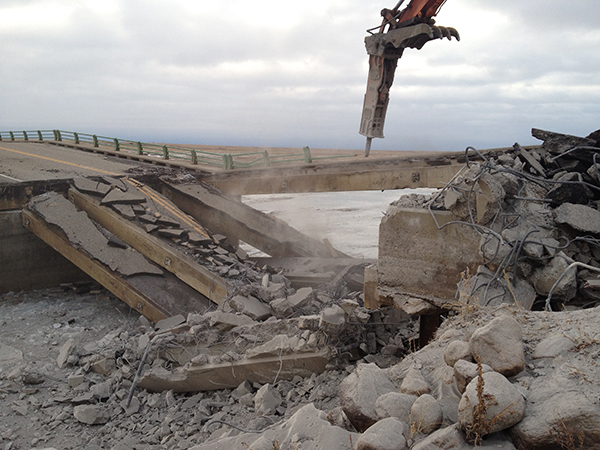 The bridge demolition was completed during the winter months of January and February. 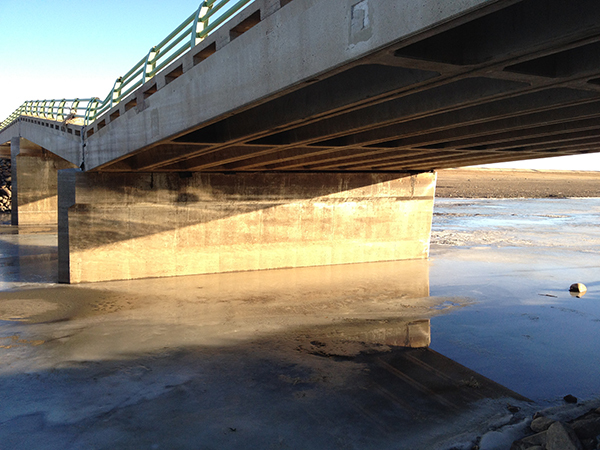 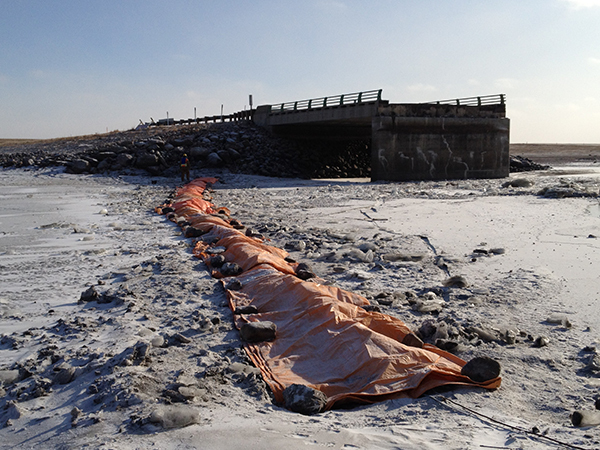 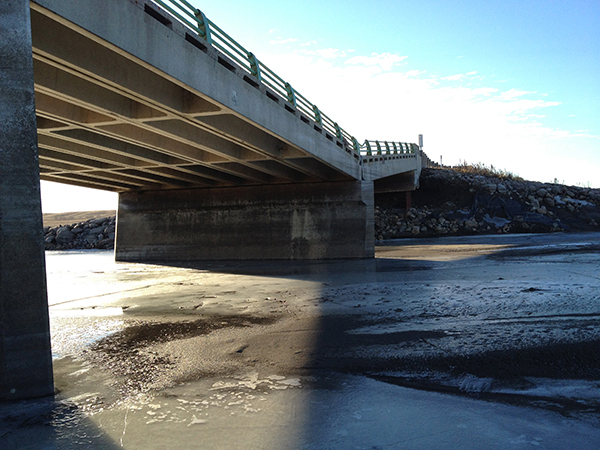 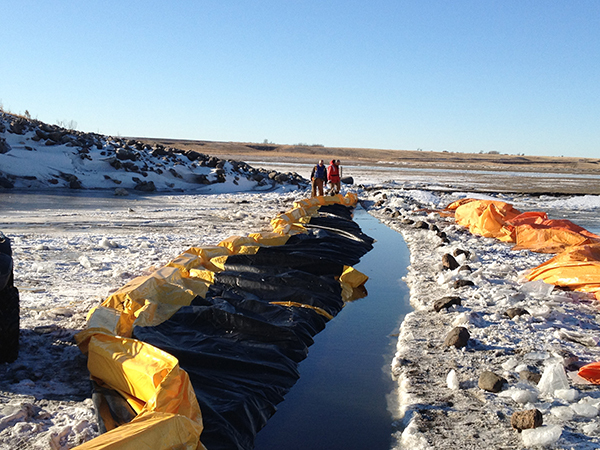 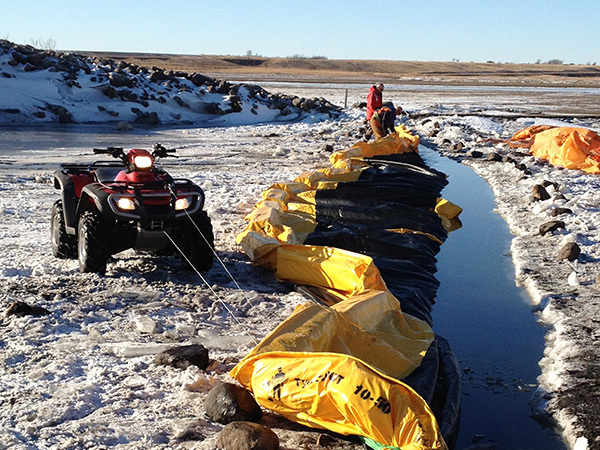 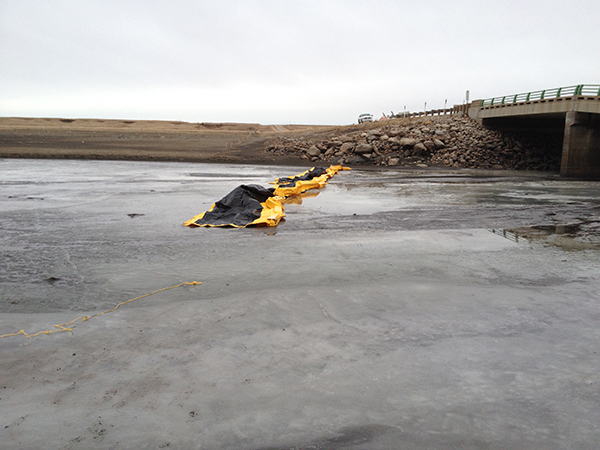 The challenge for the project was installing and maintaining sediment control curtains in the water with 30+ inches of ice to cut through and maintain open water for the duration.